Previous PostPrevious Menu Mania: Jam-Packed with New Dole Whips, Brunches, Skillets, Menu Updates, and More! Disney Vacation Club (DVC) Members are invited to an out-of-this-galaxy event! On April 10 from 6 to 8:30 p.m., DVC members are exclusively invited to a Star Wars: Galactic Gathering in Epcot‘s World Showcase. 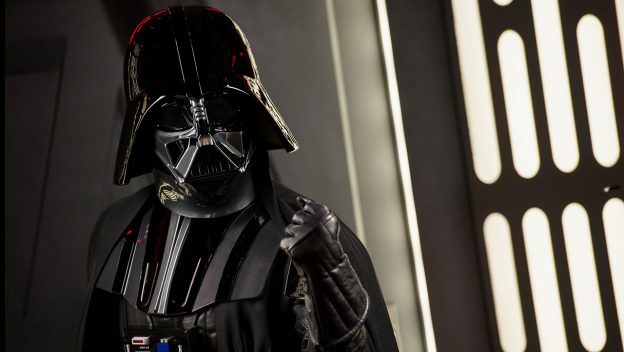 This is a “Membership Magic” event during which DVC members can enjoy Star Wars-inspired foods and beverages and meet Star Wars characters, pose for photos with Star Wars set pieces and props, and more. The menus promise hors d’oeuvres, specialty beverages, and an all-you-care-to-enjoy buffet featuring a salad cone station with Endor Cous Cous. A small-bites station will include Tatooine Cheeseburger Spring Rolls, with a bowl action station offering Alderaan Bean Wat with Basmati Scented Rice and Cilantro as one of the options. A carving station will also be available. Dessert options range from a Blue Milk Panna Cotta to Darth Vader Cupcakes and BB-8 Mousse Domes. For entertainment, a DJ will also be on hand to provide a soundtrack for an epic dance party. Plus, there will be a reserved viewing area around World Showcase Lagoon for Epcot‘s nighttime show, IllumiNations: Reflections of Earth. Tickets cost $225 per adult and $210 for children (inclusive of tax and gratuity), and separate theme park admission is required. Eligible DVC Members can book this experience for themselves and as many as 5 guests per membership. Make your reservations here. Are you a DVC Member? Will you be attending this Galactic event? Let us know in the comments below!